Is the weather outside frightful? Is the fire delightful? Are you entertaining friends, relatives, or, maybe, a certain, special someone who’s flying in from the North Pole for the night? 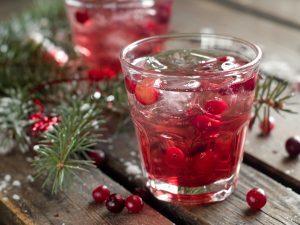 If so, then you might be in the market for some of the Tacoma Public Library’s books about mixing up some holiday-themed adult beverages. You don’t need to limit yourself to just pouring rum in your eggnog, when you can use our collection to inspire you. Why not try a roasted apple hot toddy or raspberry ball drop? Why not invite the local library staff over (just kidding)? Many recipes will work without alcohol and recipes for these are available. Cheers! L'Chaim! For auld lang syne!